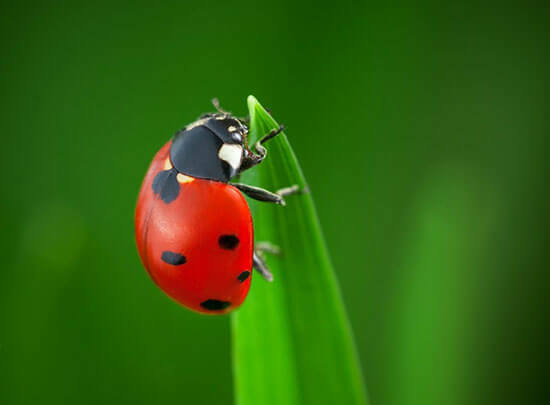 Lady Bugs - Tips for a Successful Release of these Beneficial Insects - Walt's Organic Fertilizer Co.
Keep the lady bugs refrigerated until dusk (they are less likely to fly away). Mix the packet of beneficial insect food with 1 pint water (even better if water is non-chlorinated…you can let tap water stand for a while and the chlorine will evaporate out of it). Water the ground around any plants that are being affected by damaging pests (like the rose(s)) with this solution of beneficial insect food. This will encourage the female lady bugs to lay eggs here. Sprinkle the lady bugs on the ground in these areas where you applied the beneficial insect food. The next day, many lady bugs will disperse, but larvae will be hatching soon enough. They are flightless and more ravenous than the adults. They will climb up the roses and eat the pests. If you need or want to delay release and are planning to keep the lady bugs in your refrigerator, you should make sure you have an open glass of water (or some other container of your choosing) to add humidity to the fridge. Modern refrigerators automatic defrost features dry the air which is bag for the beneficial insects. The water will add sufficient humidity for their survival during this extended hibernation.I’m not sure how long you can store them in cold-storage like this, but guessing maybe a month. I like the lady bug idea before resorting to BT. Make sure you wait till dark to release the lady bugs. Before you do release them, you should water the ground with some honey water (2 TBS honey in a watering can). You can also sprinkle some beneficial insect food on the soil around affected plants. Both these things will encourage the females to lay eggs in that area. In the day, many adults will fly off. But the eggs will hatch later and the larvae which can not fly will crawl all over the plants eating whatever they can find and I have been told they are as or more voracious than the adults. The BT will kill beneficial insects as well an undesired insects so it should be a last-resort measure. I have had much success in keeping them in my yard all year. I get many generations of them all gardening season with just one release. I always put them in the fridge when they arrive. The next day ( very early or just before dusk) I water the garden first. Then I mix a bottle of room temperature water with a teaspoon of sugar or honey and mix well. Then I gently and lightly spray the lady bugs. Don’t over spray you’ll drown them! Just a small amount goes a long way. I’m gluing their wings for a few days. This sugar mix keeps them from flying away. If done properly it won’t harm them. I release them gently by opening the bag and sprinkling a few here and there. Check yourself because you’ll probably have a few in you when done. Gently shake or brush them off. They will be very hungry and will look for food, lay eggs etc if they stay around your yard. I’ve never had them fly away with this method and they have always done a great job controlling insects. I don’t have the infestation my neighbors have. I’m confident the lady bugs are the reason. No more chemicals in my yard!